Eid hairstyles step by step is here for you girls who are searching for trendy yet easy hairstyles for eid step by step to look gorgeous this eid. Therefore read the whole post, it will hardly take three minutes but it can offer you easy eid hairstyle ideas and tips for short and long hair. Eid hairstyle is one of the most essential ingredients when it comes to your overall eid looks. If you are wearing a trendy eid dress with magnificent eid shoes, best eid party makeup, having stunning eid nail art design and gorgeous mehndi on hands all these are waste if you are not carrying a best hairstyle that suits you most. Therefore to solve this problem in this post you will find easy and simple eid hairstyles step by step tutorials for long, medium and short hair so that you can make these hairstyles at home without losing cash in the salon. Eid in Pakistan is always celebrated with zeal and zest, kids, men and women equally participate in eid shopping and celebrations because everyone wants to look different yet stylish at this auspicious occasion. 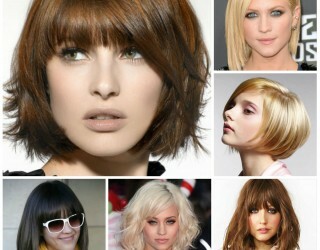 As there are many hair styling options that you can go for eid, parties, wedding and events as given below. 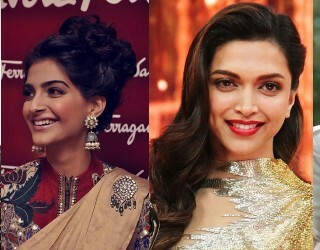 All these hairstyles can be easily done with Pakistani and Indian hair, for more celebrity inspired party hairstyles for girls visit this link. To revitalize your looks for eid you will find below simple hairstyles 2017 for eid. 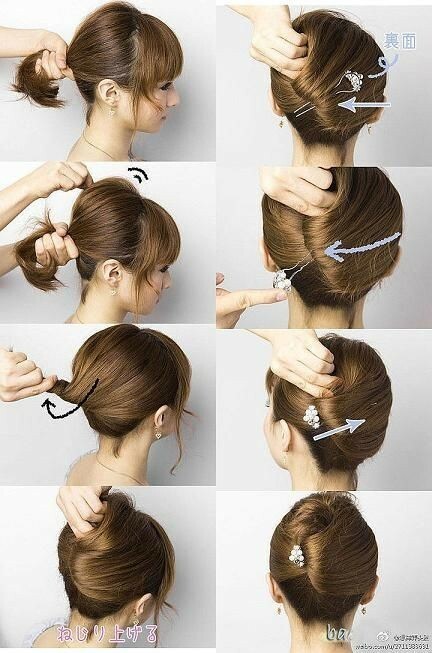 Easy step by step hairstyle tutorials will help you enhance your overall style for eid and wedding parties. For eid, you can go for any hairstyle depending on the length (short, medium or long) and texture (straight, wavy or curly) of your hair. So in this article, I have shared the hairstyle solution for all of you girls and women with short, medium or long hair with best hairstyle 2017 step by step picture and video tutorials. I hope you will love easy hair tutorial, for these hairstyle you need little practice by following the simple steps shown in videos and picture tutorials. Watch the video tutorial for quick and easy hairstyles for eid when you are run short of time to style your hair. Here I have got super easy hairstyle ideas for all of you ladies with pretty long hair to try this eid to get the exotic style. 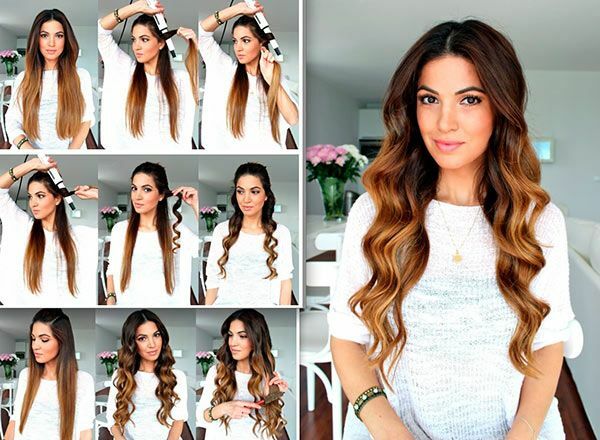 Try waves for Long hair this eid: Waves looks perfect when you wish to acquire a celebrity like looks because these are suitable for every length of hair be they short, medium or long. Braided hairstyle for eid: As eid is coming in summer days, if you want to acquire glam looks with comfort then the braided hairstyle tutorial shown below can solve your problem within no minutes. One-sided braid: If you don’t prefer tie hair then just add a one-sided braid in open hair that will make you look perfect for any event. 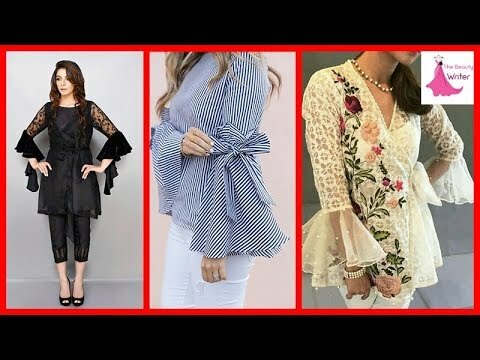 French side braid for eid: One of the best hairstyles for summer days is to try braided hairstyles and for this eid, you can try french side braid that will look absolutely awesome with any type of dress. 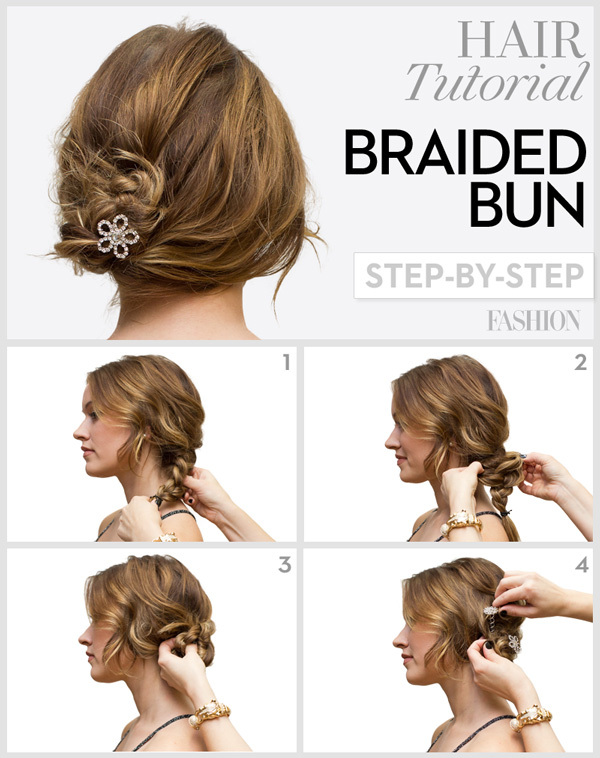 Look at the French braid picture tutorial step by step to achieve this look. High pony tail with a puff: Wearing a high pony tail make you look classic and this hairstyle can go with any dress why not you wear it for this eid. Braided bun: If you want to achieve exotic looks in no minutes then go for this supper easy braided bun. I think anyone can make this style easily when you are run short of time in eid busy days. Bun with side waves: If you have short hair go for the step by step chignon hairstyle tutorial to achieve this look for eid. 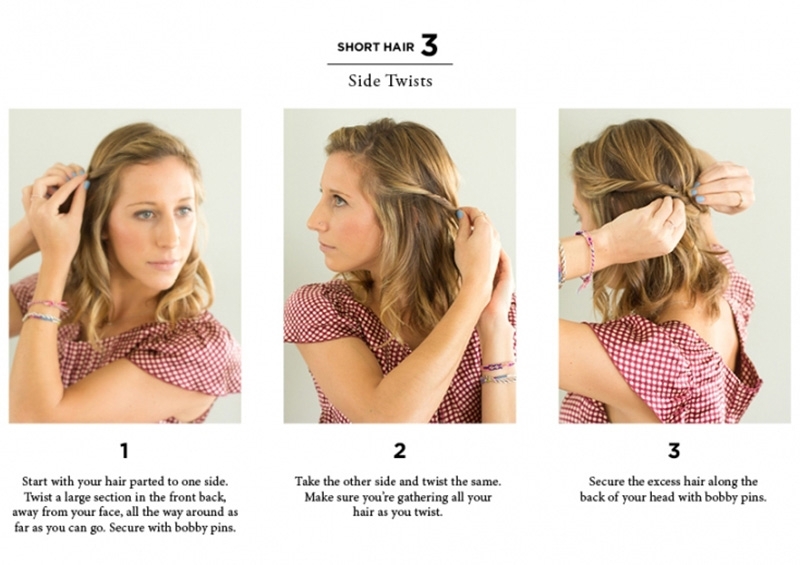 Side twist for eid: If you want to make short hair more trendy then just add side twist as shown in the tutorial below. French twist hairstyle for short hair: Another classic hairstyle for eid is the French twist. 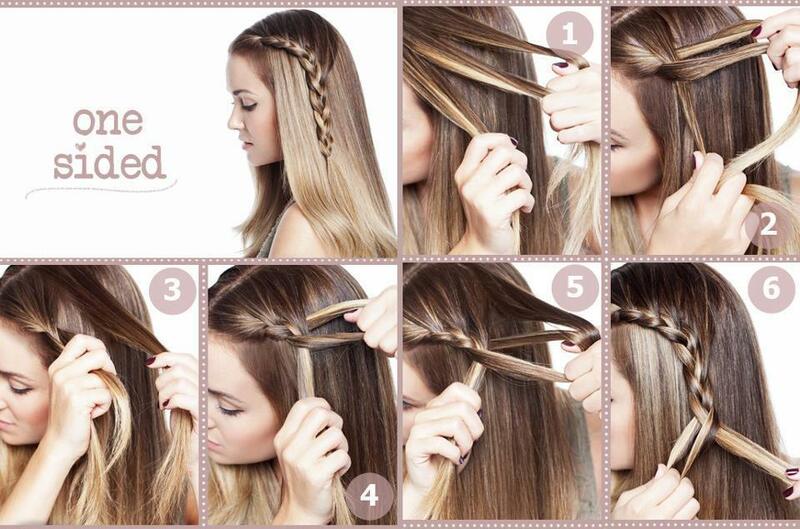 Just follow the step by step picture tutorial to achieve the hairstyle. Above we have shared with you simple eid hairstyles step by step to make it really easy for Pakistani girls and women to make hairdo yourself. Remember!! the key to making a good hairdo is just practice Hence ladies this eid you can go for easy hairstyles for eid step by step regardless of long or short hair as we have included here hairstyles for short hair and hairstyle for long hair. If you like the post follow us on social media to get more fashion and lifestyle stuff and share the post with friends and family.